Three MARSTM Tramp Metal Remover Systems helped build 5th runway at Hartsfield-Jackson Atlanta International Airport. 27,000,000 CUBIC YARDS of material moved on conveyors. Job finished ahead of schedule and under budget. Contractor earns $10,000,000 bonus. City of Chicago uses MARS to remove tramp metal from special pit. 3000 tph MARS system now in use. Longest running two MARS in Illinois, fourteen years and still going strong. Many other MARS are making profits for their owners world wide. Sturdy, rugged system just keeps going and with low maintenance too. NEW applications for MARS in cement plants to boost cement production opens a new market for the MARS. Another new application using MARS on a conveyor as a diverter to load trucks. 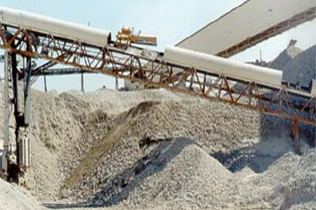 Aggregate plants find MARS increases production, improves safety, and protects crushers. MARS protects belts and electric motors – saves electricity. Gold mine improved productivity by 5%. MARS eliminated approximately 90 stops per 24 hour period. Only wear parts needed replacing over 5 years. Coal processing improved by installation of two MARS diverter systems in power plant, allowing several months to refurbish coal handling machinery and serve as a backup system. Coal barge unloading speeded up saving demurrage (storage) charges on barges. Cement plant coal rail cars unloaded faster by use of MARS diverter thus saving cost of use of rail cars for storage. MARS in operation in USA, Canada, Scotland, Puerto Rico, The Bahamas, South America, Australia. USA- Alabama,Arkansas, California, Florida, Georgia, Hawaii, Kentucky, Illinois, Indiana,Massachusetts, Missouri,New York, Pennsylvania, Tennessee, Virginia and growing. Many MARS installations in operation world wide.